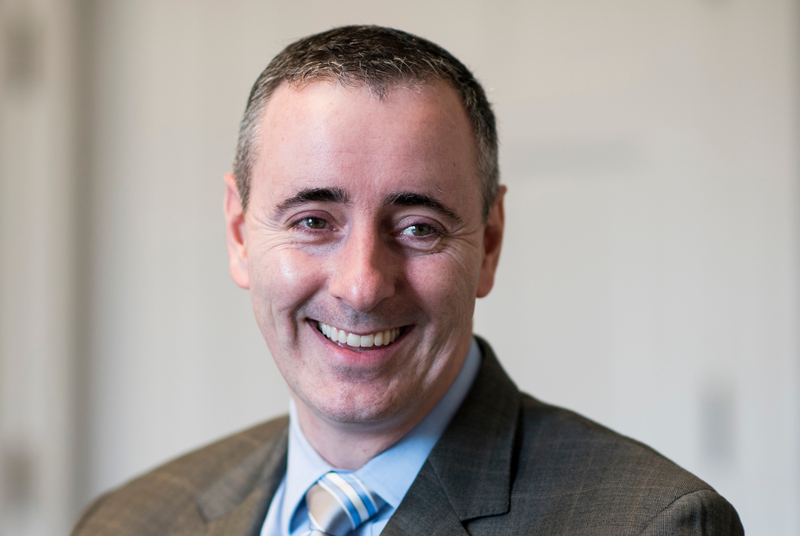 Freshman Rep. Brian Fitzpatrick, 43, a Pennsylvania Republican, talks about deciding to run to replace his brother in Congress, transitioning from life as an FBI agent, and his unique perspective at his new job. A: That it is a very entrenched system that’s perpetuated for a long time and there are an awful lot of reforms that need to be made to the system. A: I never expected to do this. I was in the only job I ever wanted to have since I was ‘this’ big, to be a FBI agent, and it lived up to everything I thought it would be. Great people, I miss it a lot, and it was an excruciatingly difficult decision for me to leave, because unlike other jobs, once you leave the FBI, you can’t get back in, particularly if you’re beyond the max hiring age of 36. In many respects, it was a nonreversible decision entering into a very uncertain circumstance because I come from a swing district, it was an open seat, it was a presidential election year, so there was no guarantee at all. I just chatted with him, just as brothers would talk, about how he viewed the job, did he feel like he was able to make a difference, what were the good parts of the job and what were the bad parts. Just like if you were considering making any career change, you would speak to people in that career. I did that, the only difference was that it was my sibling that I was asking. Q: What unique perspective do you bring from your previous career in the FBI? A: I was a supervisor in the political corruptions unit in the FBI so I spent my career arresting politicians. I would say that gives you a pretty neat perspective on the job. Q: How do you switch your brain over from arresting politicians to being one? A: You don’t, that’s the key. You don’t switch your brain over. You keep it the same. You get a very unique perspective on Capitol Hill from the J. Edgar Hoover Building, particularly in that unit, because it sort of forms your perspective on government and government reform specifically and changes we need to make. I’m a big proponent of term limits, I’m a big proponent of abolishing congressional pension, and gerrymandering reform. A lot of the things I think we can do to fix the system that would return Congress to a citizen legislature because that’s what our founders intended. It was never meant to be a career. Q: What are your hobbies when you find downtime? A: I love to travel, although I don’t know how much time I’m going to have to do that but I love traveling, particularly foreign travel. My favorite part of being a FBI agent was when I entered that international role, working international corruption and counterterrorism and having the opportunity to travel overseas. I knew I was always interested in international travel but then having that chance to do it in a work capacity, where I was given a chance to work in embassies around the world, working with foreign police officers, foreign leaders, was just an amazing experience. Last book read: “The 7 Habits of Highly Effective People,” by Stephen Covey. Closest to in Congress: A number of freshmen. We have a great class, I don’t really like to limit it, but me, Scott Taylor, R-Va., and Mike Gallagher, R-Wis., are kind of three peas in a pod, I guess you could say.